It’s hard not to stop and admire street art when you’re walking the streets of London, it’s almost hard to avoid. This city expresses so much emotion and soul in it’s art, making it so hard not to fall in love. After my first post showing some of my favourite street art pieces in London was well received I told myself I would do a few more especially since new graffiti pops up all the time. Admittedly, it has been a while but here are the latest street art that have captured my attention and awe. A walk down one of the more notorious roads in Brixton, Somerleyton Road leads you to some captivating art with one of my favourites below, now how can you not smile? 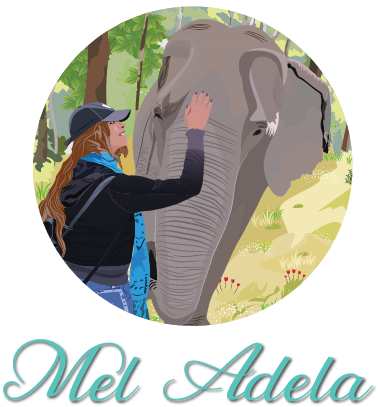 This pretty elephant has got me excited about my trip to Cambodia at the end of the year to visit an elephant sanctuary. Brick Lane in Shoreditch always promises some great street art and this tribal piece below is absolutely stunning. They say beauty is in the eye of the beholder, but so is pain and you can feel the hurt by just staring at this picture. A perfect place to sit and watch people as well as admire art is at Smokestak, an extremely delicious Caribbean infused tapas place between Shoreditch high street station and Brick lane. A different form of street art was on display one of the days in Summer, A Shoe To Nowhere. What do you think this piece depicts? I saw how getting lost in the routine of your work life takes you nowhere. Which goes back to my point I made before about embracing change in order to grow. Not far from where I live I stumbled upon this big art piece, he’s pretty cute don’t you think? I was so concentrated on google maps trying to find the location of my parcel drop off point that I nearly missed this. The only reason I looked up was because I realized I was completely lost. yeah it was something totally different but so thought provoking!